I know some of you are married to men who are similar to you. By that I mean that they have the same likes, interests, and hobbies. But for many of us, that’s not the case…we just don’t like the same things, and that can make it difficult to spend time together. Truth be told, although my husband and I have a few things that we both like, for the most part, we’re polar opposites. I love the beach, he loves the mountains. He likes to hunt, I like to read. I like to write, he likes to fish. I like to shop….okay, so he likes that too (depending on what we’re shopping for!). Having such different interests can be challenging when you’re looking for things to do on date night, when you’re taking time away as a couple, or if you just want to spend quality time together enjoying one another and sharing your hobbies. Here are some ways you can spend time together when your hobbies are so different. One way to make sure you’re enjoying one another is to try and take an interest in what your partner actually likes. Yes, I get it, it might not be your thing, and that’s okay. But attempting to learn a new skill or work on a hobby together, even if it’s not your cup of tea, will bring you so much closer to your husband. There’s nothing like that look of excitement on your man’s face when he sees you caring about the things that are important to him. You don’t have to be good at it, you just have to try. When I was about 7 months pregnant with our first child, I went hunting with my husband. Granted, we were with his father and had a travel trailer to sleep in so I was semi-comfortable, but I actually did go out in the woods and walk around with him. Did I enjoy it? Yes and no. The woods were beautiful and peaceful, but at the same time, I find it to be a bit scary. Not to mention my huge pregnant belly and swollen feet made it more difficult to get around. But even though I didn’t go out every time my husband went out, I did go out once. I tried. And I was there waiting for him in camp when he returned the rest of the time. I know that meant the world to him. We still look back on that trip with fond memories and laugh about him having to drive me to a nearby McDonalds to use the bathroom because the one in the trailer wasn’t working and my pregnant self couldn’t go in the outhouse without throwing up! Ha ha! This is something that we try to do when we can, and to be honest, it doesn’t always work out. But sometimes it does. It’s very easy for me to go along fishing with my husband and to bring a good book, or even my laptop. He can fish, and I can read or write, but I’m there with him. We can still converse on and off (unless I’m writing, then he knows to keep quiet, ha ha! ), I’m there to see him catch a fish, and we have the trip to the lake and back to just talk. Maybe you like to sew, knit, work on crafts, or some other type of hobby that you can bring along on one of your honey’s ventures. It’s a great way to still be spending time together even though you’re not doing the same thing. This is so important for your time together. Maybe you’re wondering how is giving my husband ‘me time’ going to help us grow closer and spend more time together? When he is getting to go out and do the things he truly loves, he will be so much more willing to compromise on the other occasions and make sure that you are getting to do what you love as well. I learned this the hard way early in our marriage, thinking that I could ‘force it’, so to speak, when it came to us doing things together. But you can’t force someone to spend time with you or make them enjoy what you want to do, they have to do it on their own. And the quickest path there, in my experience, is to make sure all my husband’s needs are met. That’s when I find he is more than willing to go the extra mile to make sure mine are met as well. Again, this doesn’t always happen as, like everyone else, my marriage isn’t perfect. But it means a lot to my husband that he gets to go on hunting trips and fishing with his buddies. Then when I want to go shopping, or to a movie or out to eat, he’s right there ready and willing to take me (and even wait patiently while I try on clothes…well, usually patiently!). I hope you’ll find these ways to spend time together when you have different hobbies helpful. Have any other recommendations? 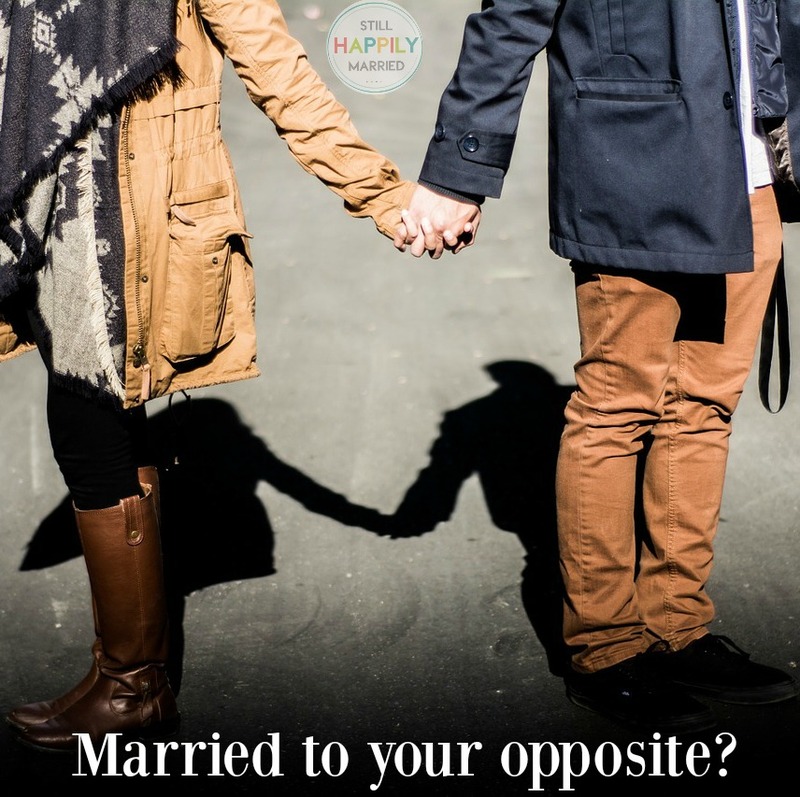 I’d love to hear about what has worked for you when you don’t like the same things as your husband in the comments!